Sylvia was born and raised in Middleborough and has lived here all life except 12 years in Stetson, Maine. She has always been dedicated to her hometown. She is always at town meeting and other important meetings regarding the new high school and the new police station. It is important to her to cast her vote at the polls. After graduating from Middleborough High, she entered Bridgewater Teachers College and the Boston College in Boston. Her goal was to be a Registered Medical Record Administrator. She worked at the Log Cabin, the 5&10 and a shoe store in Middleborough and Traveler Insurance in Boston to remain in college. After a short time at Brockton Hospital she was employed as Director of Medical Records at Tobey Hospital. She took extra courses and studied on her own and in 1965 she became a Registered Medical Records Administrator. Going to state medical record meetings she became President of Massachusetts Medical Record Association. This gave her the opportunity to be a delegate at the national meetings in cities across the country. She retired in 1996. Raising, training and showing horses has always been her forte. One great win was at the National Morgan Horse Show riding "Royal" to a blue. 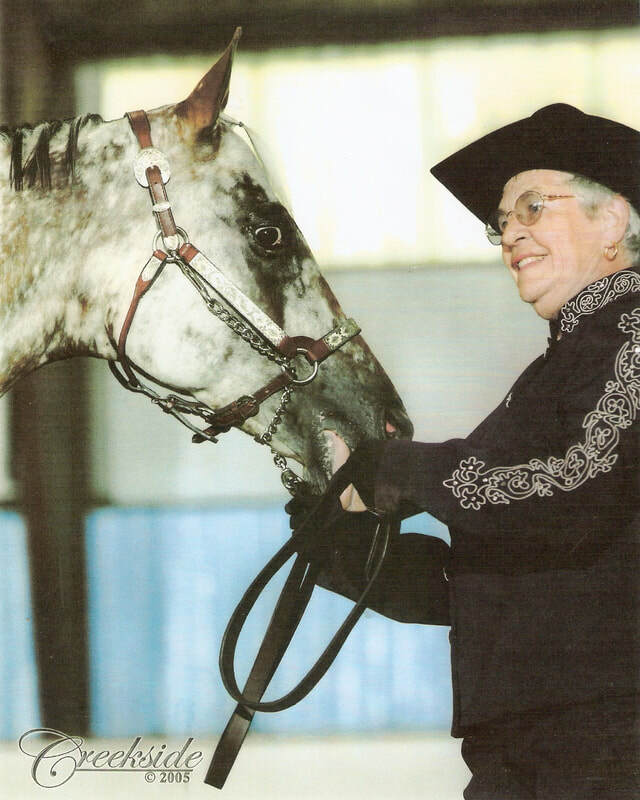 When showing in the Appaloosa shows with end-of-year points, Georgie's Girl took National Champion in open and non-pro pleasure driving. Sylvia has been a member of the Grange for 68 years. She followed in her father's footsteps and was Master of Nemasket Grange in Middleborough. When this Grange met its demise, she joined South Middleboro Grange and is presently Overseer there. She helps with their suppers and fairs. Sylvia now lives at Oak Point. You will see her walking her dog "Cheyenne" on Green Street. Sylvia is very active in several clubs at Oak Point. She is involved in Woman's Club, Writers Club, Book Club, and Woman's Bowling and Bocce. She is at Bingo on Friday nights in the Ballroom in her "lucky" seat. To contact Sylvia with any questions regarding herself, voting, or making a donation to "Friends of Middleborough Cemeteries", email her at Sylvia2018@gmail.com. Mertie Romaine was a daughter of George A. Romaine and Mertise S.(Pray) Philbrook. She married twice; first in 1912 with Chester Main Witbeck and second in 1966 with Lawrence Romaine. 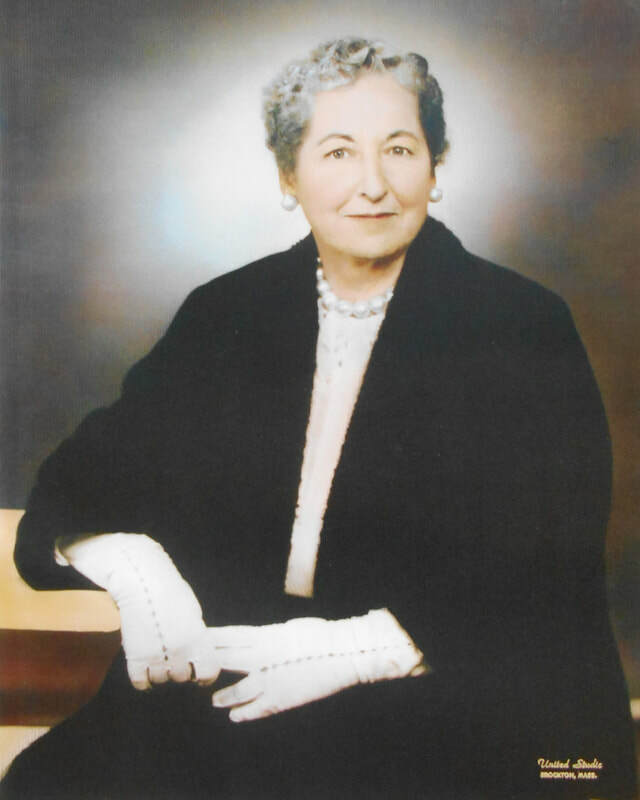 Mertie was Head Librarian at the Middleborough Public Library for over 40 years (1921 to 1963). She always greeted you with a smile and a "hello". Looking for something special? She always helped you. Mertie wrote the second volume of "History of the town of Middleborough, Massachusetts" covering 1905-1965. This book has over 600 pages in print and includes numerous historical pictures. A smaller book that Mertie wrote is "General Tom Thumb and His Lady". Mertie was involved in other activities of the town. In 1947, the Central Congregational Church had its 100th Anniversary. Mertie was Co-Chairperson of the celebration. Later she wrote a history of the church. Mertie's second husband, Lawrence Romain, was a nationally known consultant to libraries and museums. He was Founder and Curator of the Middleborough Historical Museum. Both Mertie and Lawrence made such an influence on the town of Middleborough. Mertie died at the age of 99 on March 4th 1992 and is buried at Nemasket Hill Cemetery in Middleborough. The Grange was started in 1867 in Washington DC by William Saunders and 6th other men, THE Grange IS also known as "Patrons of Husbandry". 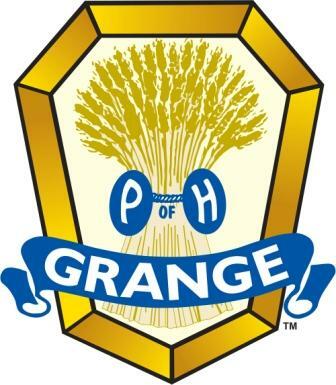 There is a juvenile grange for young people under 14. At 14 you can have full membership of the grange. First there is a community grange such as South Middleboro Grange. Then there is district, state and national grange. South Middleboro raises money through its suppers, yard sales and its annual fair. At their meetings they have numerous speakers including agriculture and town officials and entertainment. In turn the grange gives scholarships. Many granges have met their demise but South Middleboro Grange has survived.